Following recent changes in tax legislation for the traditional buy-to-market, owning a residential property is not as profitable as it was. Moreover, the current political climate has contributed to falling house prices and lower rental returns. This aggressive taxation does not apply to holiday home ownership which instead benefit from advantageous tax treatment as ‘Furnished Holiday Lets’. What’s more, tourism in the UK is booming and has been growing for the last decade, creating high returns for holiday home owners. Choosing to invest in a holiday home means not only do you avoid the hassle of tenants, you own a property which you and your family can also enjoy. 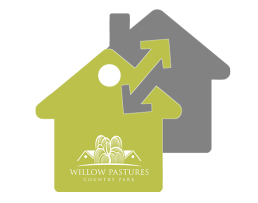 Included in our guaranteed return is 6 weeks for owners to enjoy their holiday home for themselves. 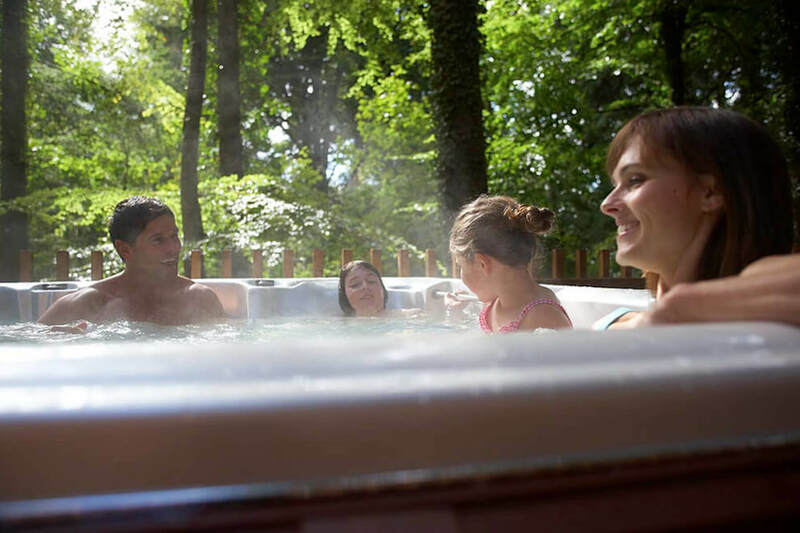 Unlike traditional buy-to-lets, a luxury holiday home with hot tub in the heart of the countryside is an investment you can truly enjoy and share with your family. 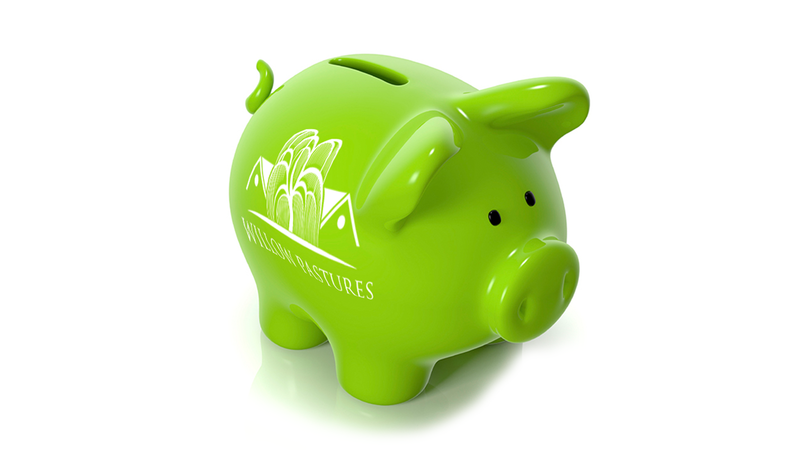 Spend up to 6 weeks in your holiday home and you are still guaranteed* to earn £15,000 net per year. Your property will join our letting pool with the largest self-catering letting agency in the UK, Hoseasons, and benefit from their 70 years of experience. Their website receives 30 million unique visitors each year, they circulate 400,000 brochures annually and reach 90 million people through social media. We will manage your buy-to-let investment, taking care of everything from cleaning, damages and health and safety checks to marketing and customer care. We ensure customers receive a 5 star service to protect your reputation and to encourage repeat bookings. You can be as involved as much or as little as you like. Investors can access real-time information, including bookings and charges, for their property via the online portal. This helps with financial management and allows owners to view when their property is available for their own use. Consolidated payments are made to investors at the end of each month by bank transfer. Find out how much you can expect to let your property out for via our letting pool. Designed to meet current building regulations, each luxury holiday home is certified by NHBC, giving buyers peace of mind that their property meets the same requirements as a traditional building. NHBC provide a 10 year warranty and each home has a minimum 60 years life span. As such, these holiday homes are fully mortgageable so no need for expensive loans or finance. As an appreciating asset with an industry-leading certification, our luxury holiday homes are a safe, sound investment. For more information about NHBC, visit their website. 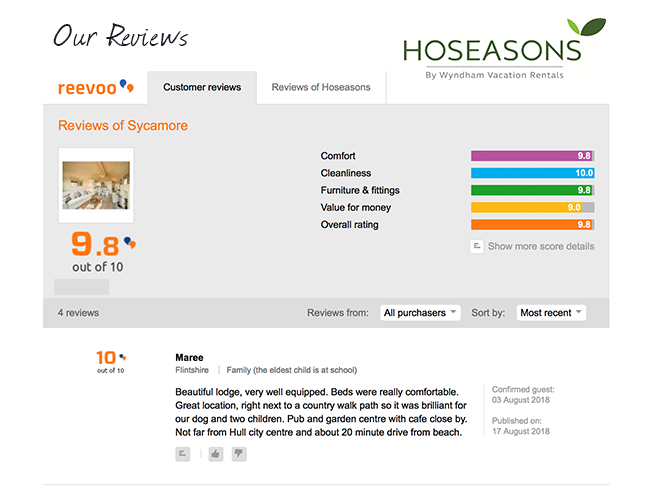 The Sycamore is fully furnished meaning you once you purchase your holiday home, you don’t need to do anything. We include everything from modern kitchen appliances to stylish light fittings, high-quality soft furnishings to Sky-Q ready televisions. We can also include a hot tub to maximise the letting potential and add an extra touch of luxury (charges apply).